Apex Gift Cards are readily available for purchase and can be used at any Apex Theater. Physical or Electronic Gift Cards are now available in $25; $50; or $100 Dollar Denominations. These Cards are a perfect gift for family and friends and can be used at either Baxter Avenue Theatres Filmworks or Village 8 Theatres for Purchasing Tickets or Concessions. To buy an electronic Gift Card, click here. Apex gift cards are good at Apex theaters only. The value of these cards will not be replaced if lost or stolen. The value of this card cannot be redeemed for cash. Use of this card indicates agreement by the holder to these terms and conditions. 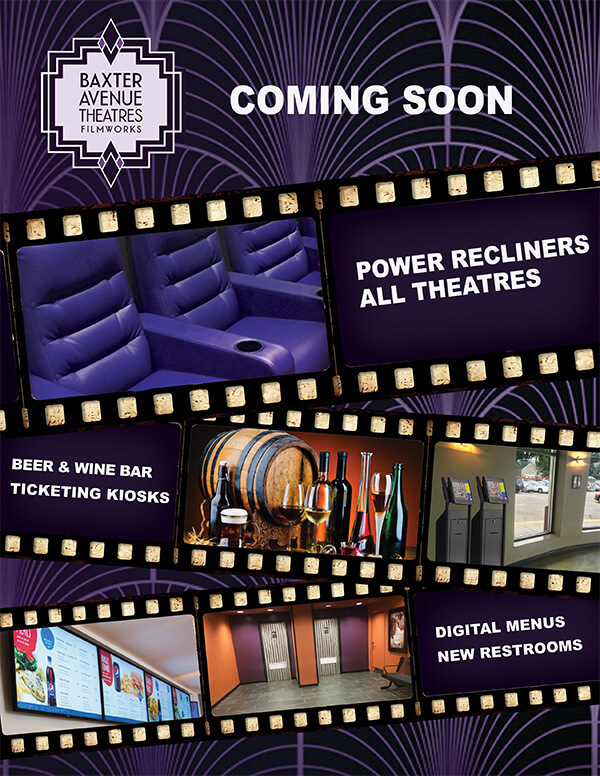 Treat Your clients, friends or staff to the movies! Our Guest Pass Booklets include 50 tickets for your enjoyment! Just $2.00 per ticket for Village 8 Theatres! Guest Passes have an expiration date. Will not be replaced if lost or stolen and are non-refundable. Other restrictions apply. The next time you view a Louisville Exclusive Film at Village 8, be sure to ask for a Louisville Exclusive Films Club Card. Each card will obtain a box that will be stamped for each Exclusive Film you watch. There will be 5 blank boxes on each card. Once you fill it up, you will receive FREE admission to a film of your choice. This is an offer good for only Louisville Exclusive Films. You cannot present this Club Card for any other films that we have except for Exclusive features. The Screening Room features a private, intimate space with twelve premium leather-like seat rockers. Personal servers are available during weekends to attend to your needs both before and during the show. Bring your friends to The Screening Room for a quiet, comfortable and cozy atmosphere free from distraction for a better moviegoing experience. Click on Buy Ticket Button Above to View Movie Selection and Showtimes. Please note: The movie choice will be listed as SCREENING ROOM next to the Movie Title. Screendollars provides advertising services to independent cinemas and drive-ins across the United States. Our professionals have the experience and commitment to meet your needs and maximize your revenues. Apex Theatres provides a quality and entertaining movie experience for our hard of hearing, deaf and visually impaired patrons by offering options based on individual needs. We provide Alternative Listening Devices, which uses Infrared Technology at each of our locations for every type of film we play. The Closed Captioning Devices are some of the best out there provided by Ultra Stereo Labs and include closed caption receivers, transmitters and headsets. For more information, click the image below. 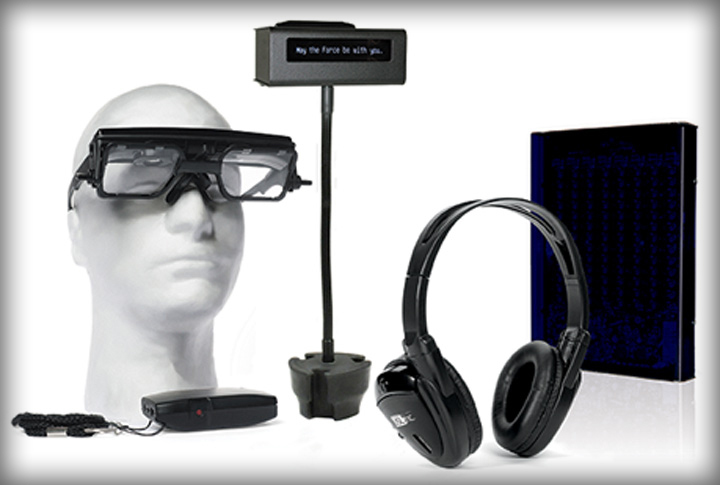 Accessibility Solutions for the hearing and visually impaired. USL, Inc. is a World Wide Leader for its Technical Achievements in the Manufacturing, Research and Development of Cinema equipment.